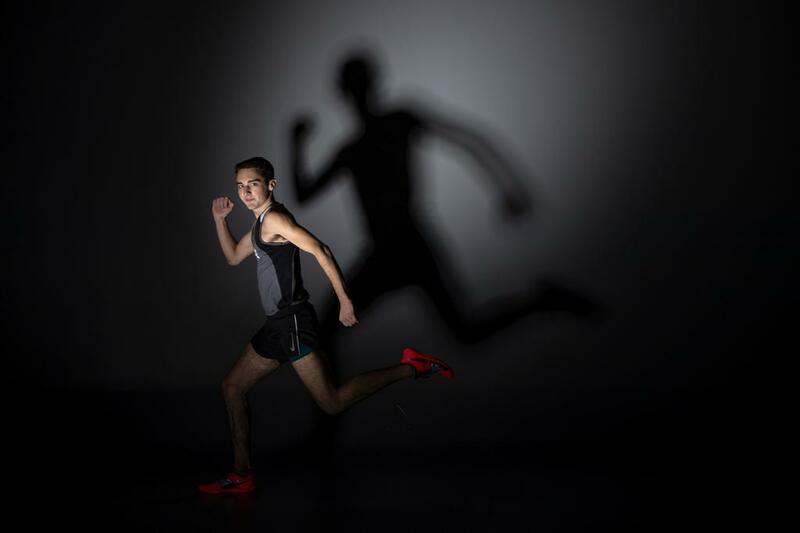 Roseville senior Acer Iverson woke on a Friday morning about 24 hours before the state cross-country meet and saw the handiwork of his supportive female distance-running peers. There were encouraging messages from the Raiders’ girls written in chalk on the driveway. Balloons decorated the house. But most symbolic was the ribbon attached to the arbor that stands over the walkway to his house. That looks like a finish line, Iverson thought. He became confident that on race day, he would reach it first. On Nov. 3, Iverson crossed the real finish line first at the Class 2A state meet at St. Olaf College in Northfield. There was no ribbon, but there was Iverson, a satisfied champion after taking second the year before. Redemption came through torrid offseason workouts and a better race strategy. “It was a jigsaw puzzle of little things you’re doing to be ready and that day I put all the pieces together,” Iverson said. He covered the 5,000-meter course in 15 minutes, 14.8 seconds, edging Wayzata’s Andrew Brandt by less than a second. Edina’s Maxwell Manley took third after defeating Iverson in September at the prestigious Roy Griak Invitational. Iverson sought to win that race as well, but settled for a useful education.